All-day connectivity is fast-turning indispensable, and PC-makers are taking note. 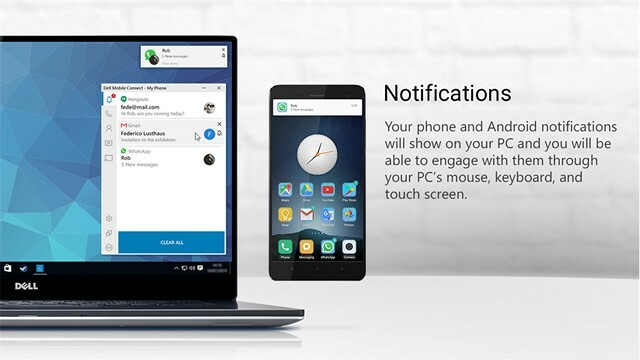 After the wave of ‘Always-on’ PCs that were announced at the CES 2018 over the past few days, Dell has now come up with a new software that promises to allow users to view incoming notifications and respond to calls and texts right from their Windows computer. 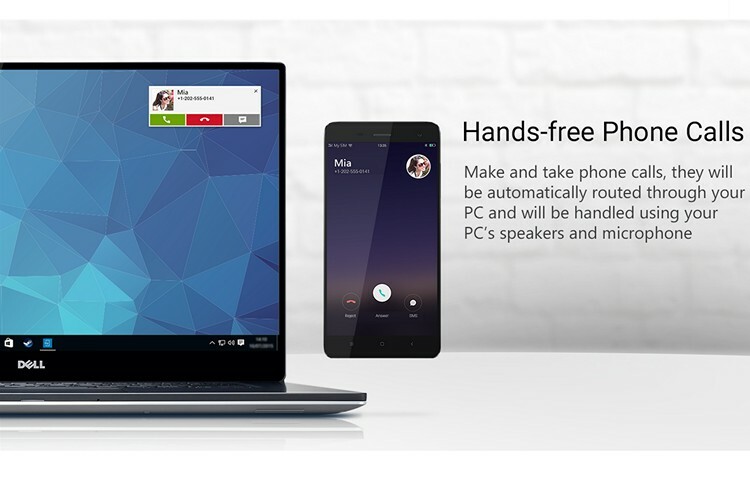 Called “Mobile Connect“, the app allows you to pair a Dell or Alienware Windows PC with iOS and Android devices. The feature sounds similar to Apple’s Handoff feature that connects Macbooks and iPhones, but it will be interesting to see whether it will be as seamless as the Apple software. Dell says Mobile Connect will be included on most of its new PCs this year, including the next-gen XPS, Inspiron and Vostro lineups. Even the gaming-centric Alienware devices are expected to get the feature going forward, although, there are separate apps for the brand. Some of the features of Mobile Connect are already built into Windows 10 with ‘Continue on PC’, but Dell is attempting to make the whole process a bit easier for the not-too-tech-savvy. The technology will use a mixture of Wi-Fi and Bluetooth for the transfer of information from smartphones to PCs using screen mirroring. While it will work perfectly with Android devices, the functionality on iPhones could be a bit limited because of the inherent restrictions Apple imposes on Bluetooth usage. While Dell claims that telephony features will work fine with iPhones and iPads in spite of all the arbitrary iOS restrictions, it’s third-party app support that will be lacking. Which means, unlike Android users, iPhone users won’t be getting notifications from WhatsApp, Twitter, Facebook and Uber etc.